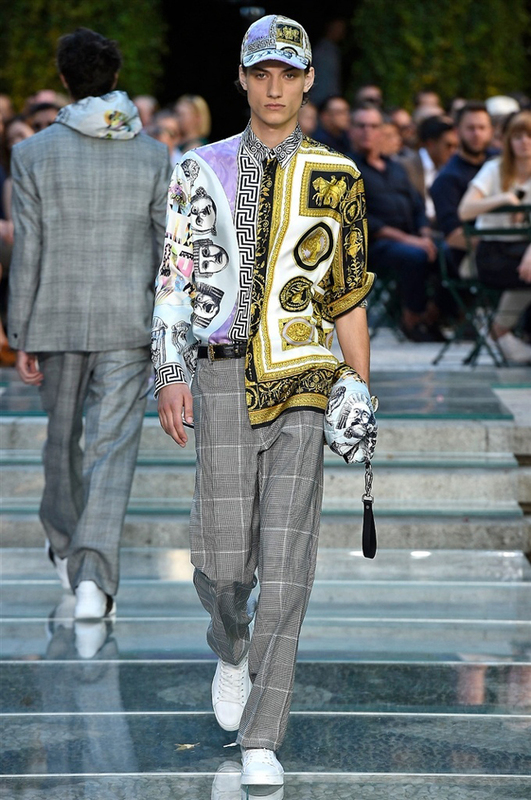 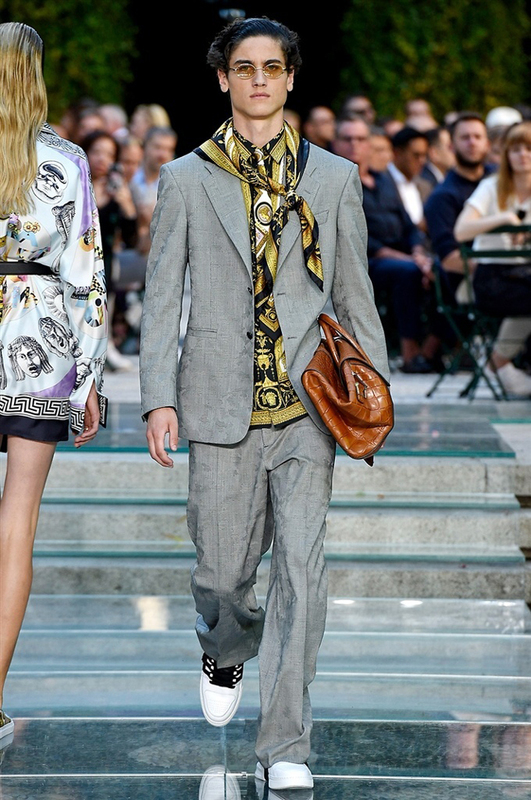 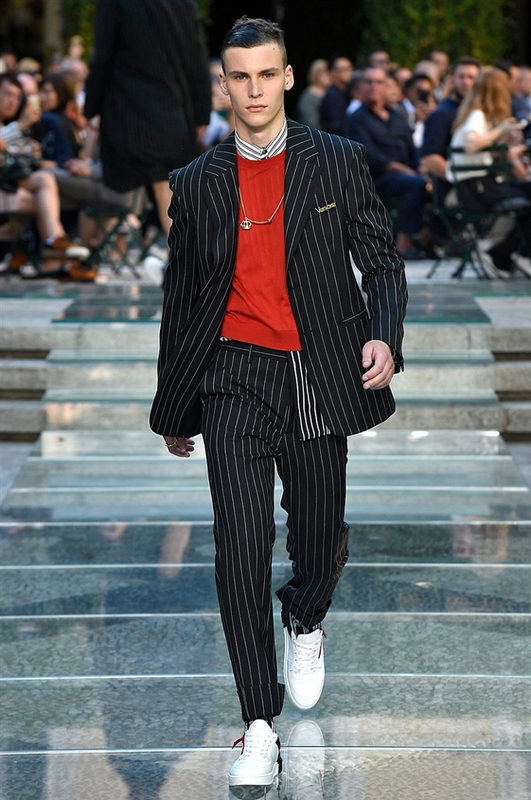 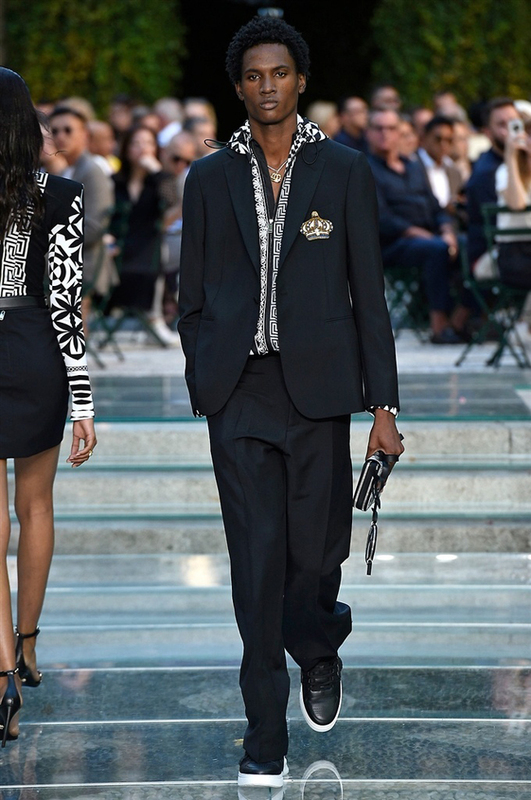 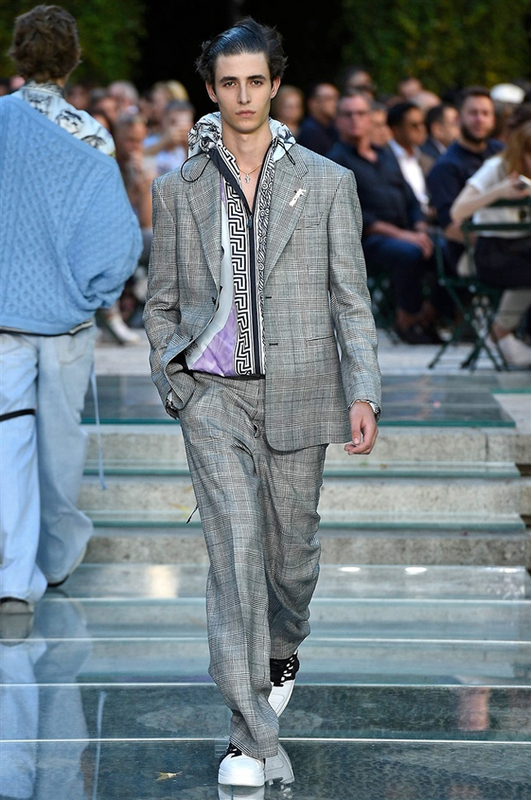 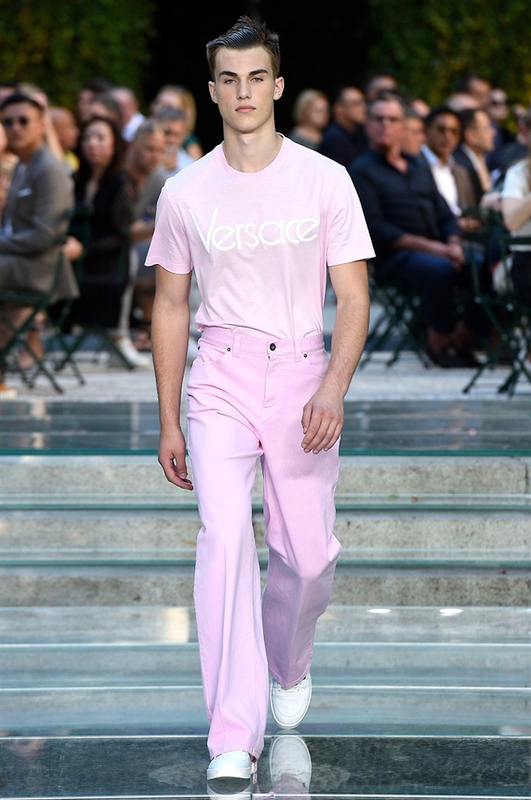 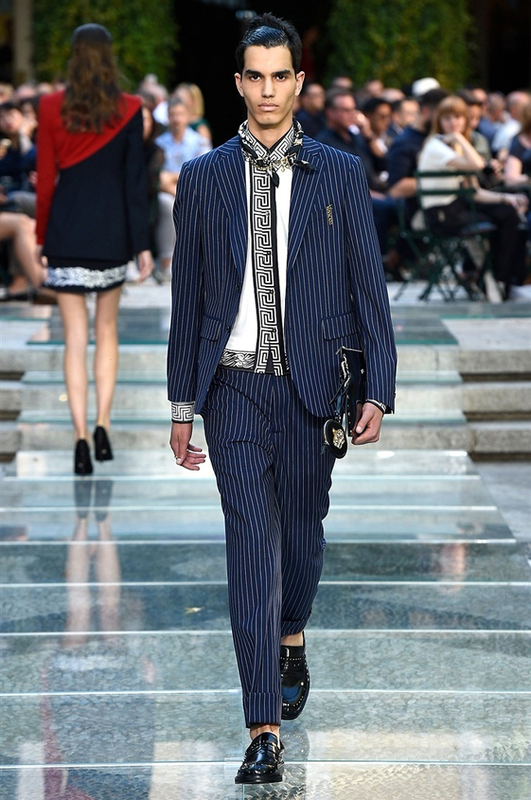 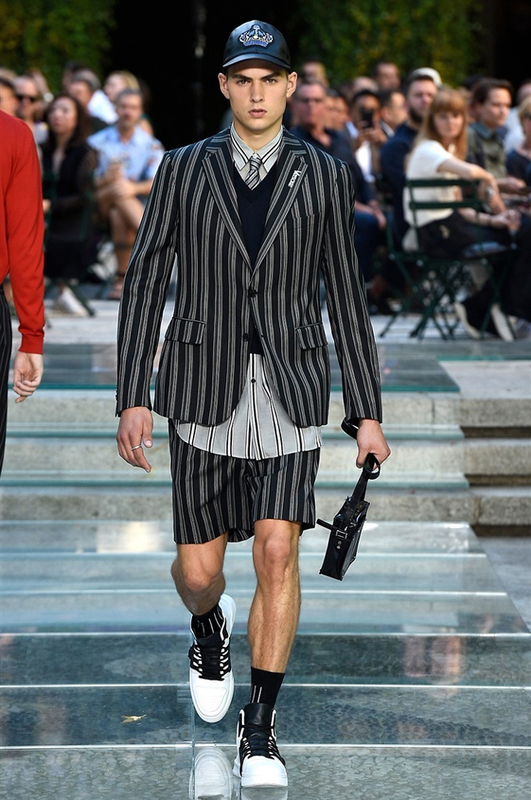 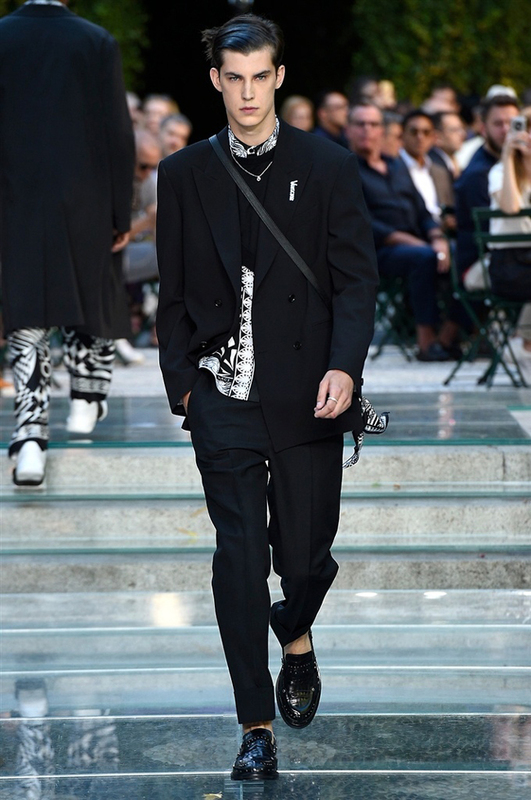 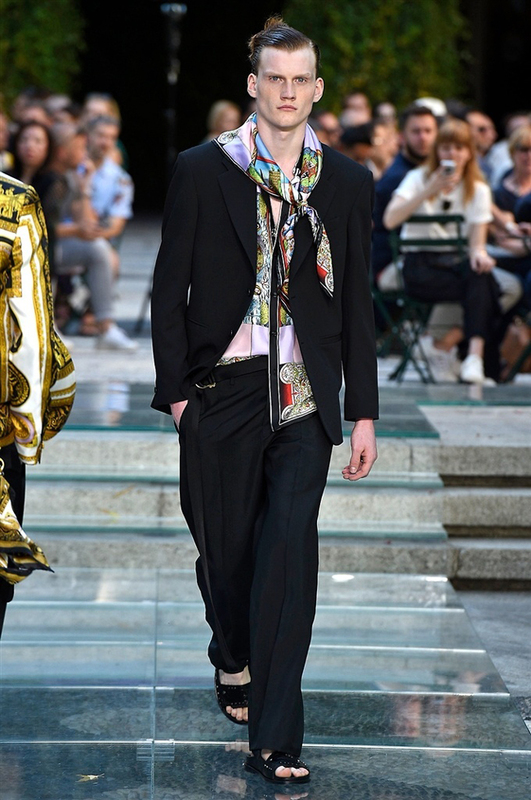 There’s a whole new generation buying into Versace and this collection - with its bright silk shirts, gold coin and gargoyle patterns, pinstripes and swirls — was for them. 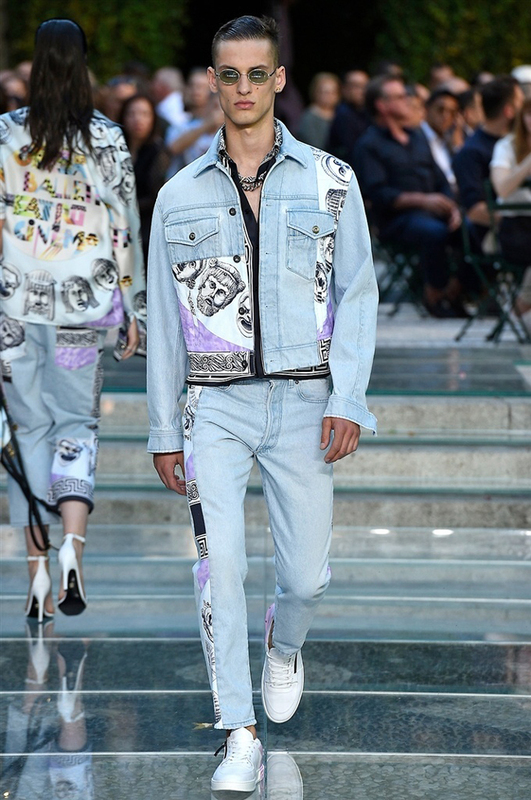 The Spring/Summer 2018 collection is a tribute to Donatella's brother - Gianni. 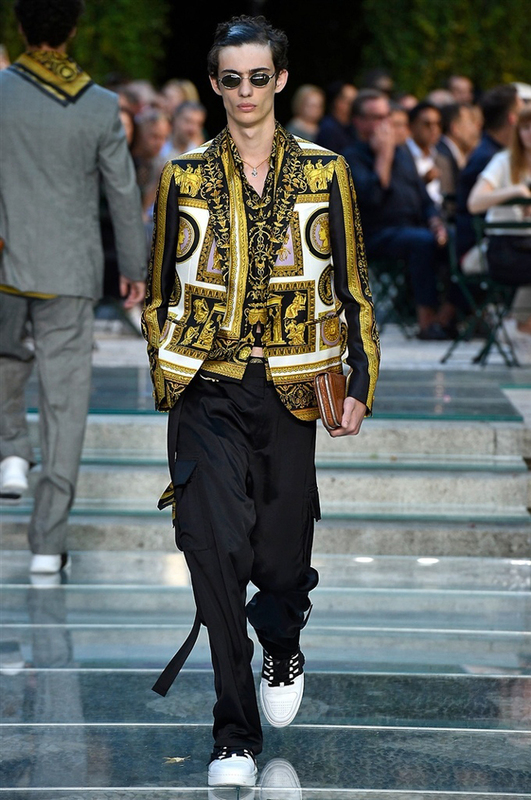 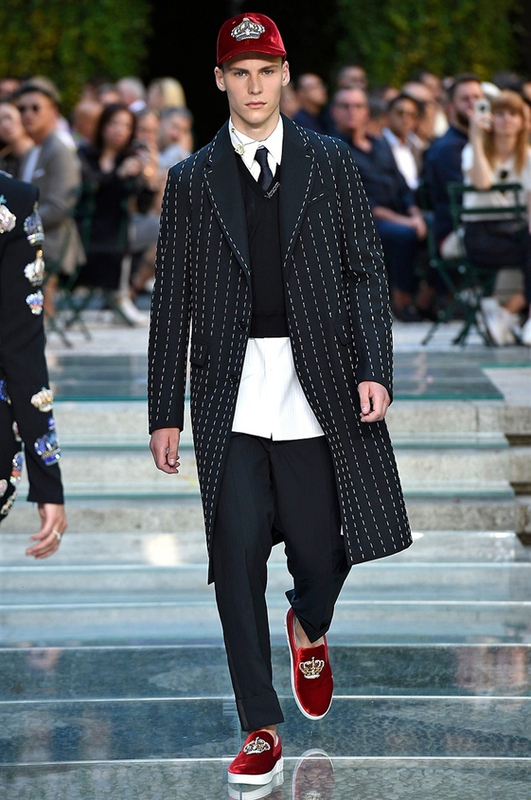 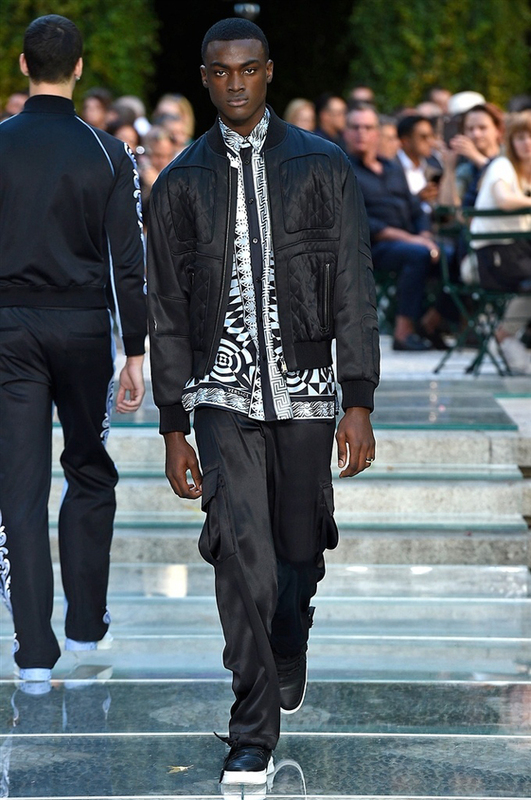 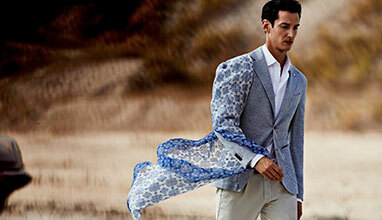 It combines bold colours, sharp prints and strong silhouettes - this was the signature of Gianni Versace. 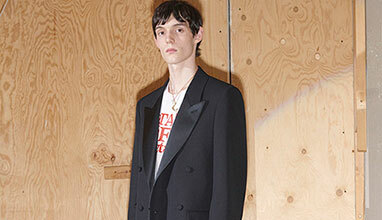 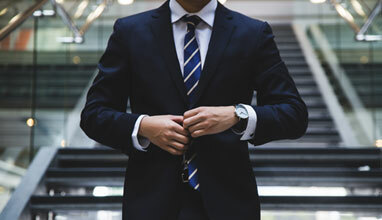 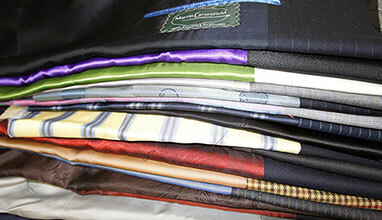 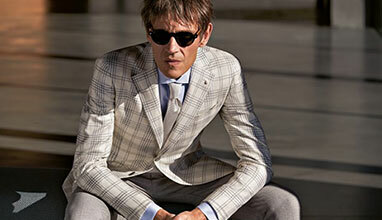 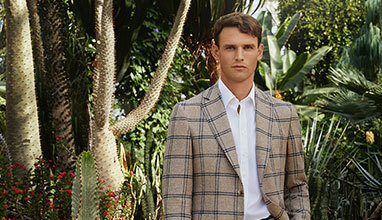 The opening section of chalk-stripe suits and short suits not only recalled Gianni’s original disassembly of executive wear but also featured a jacket shape very similar to his. 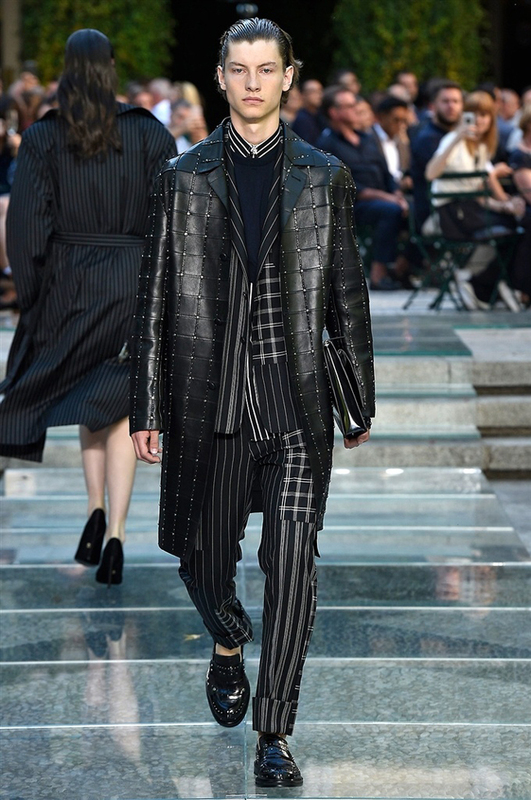 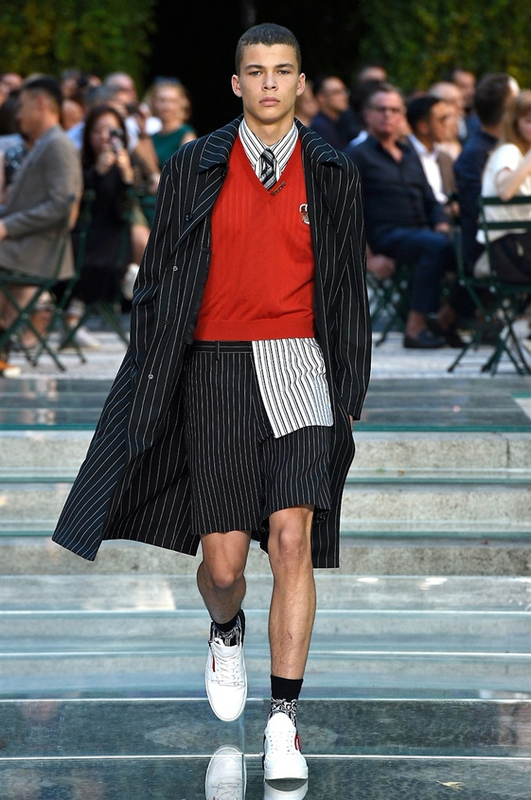 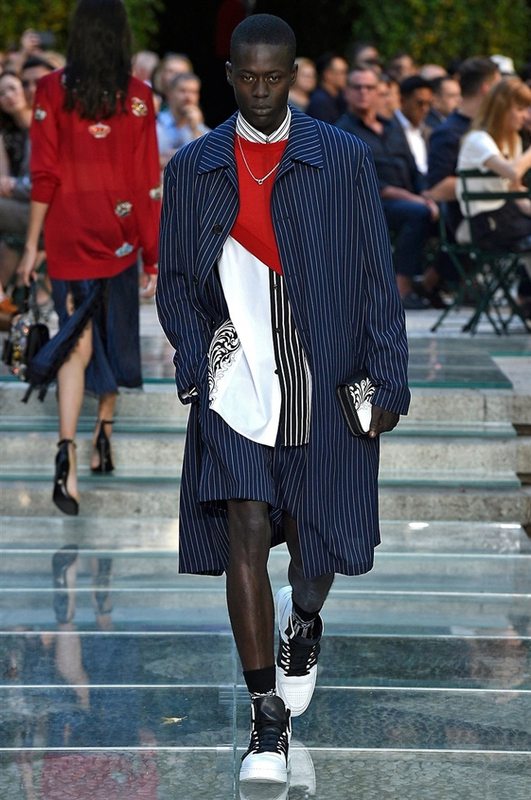 This one was freshened by the insertion of panels of jumbled secondary stripe—or elevated by the replacement of stripe altogether, with fine metal chain stitched through the fabric.